Rate this Article Fortnite Battle Royale is one of the world's most popular free-to-play battle royale games out there on the internet. However, if you're tired of it but would still like something similar to play, we've got you covered. Check out our list of the best PC games like Fortnite Battle Royale! Sometimes dubbed simply as Fortnite BR, this frontrunner or the runner-up to the battle royale genre, depending on who you ask, broke into the scene by being the first free-to-play battle royale game that is available on multiple platforms, ranging from PC to consoles. It manages to fill in the void of demand caused by the hype that PUBG has first initiated and was rewarded greatly for it in terms of the millions of daily players who logged into the game and play. Due to its cartoonish look and the fun fact that you can tear everything down with just a pickaxe, the game does bring to mind somewhat amusing games like Team Fortress 2. This actually is a pretty good move on the developers’ side because by being cartoonish rather than opting for realism, the game has a wider avenue for their future development, allowing them to add in crazy out-of-the-world weapons like the Zapotron and potentially equally insane game modes if they want to. Unlike PUBG, Fortnite Battle Royale completely did away with the melee weapons, except your trusty pickaxe, and instead replace them with even more guns – guns with varying degree of rarity, which naturally will affect their damage output. There isn’t any character customization to really speak of at the moment since the character you play is randomly assigned to you whenever you hop into a game, but you can unlock new character models to play as. There aren’t any vehicles to use as well since the map in the game is much smaller, making traversing from one point to another easy enough by foot. 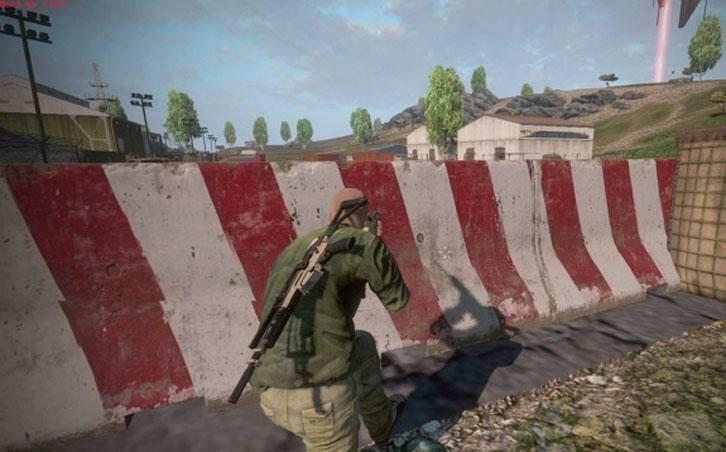 In addition to the 100-player maps, the gameplay itself is also in third-person, giving players slightly more environmental awareness when it comes to close-range ambushes. Like PUBG as well, the game has 2 game modes, solo, and team-based. All that said and done, if you enjoy playing Fortnite Battle Royale, you'll definitely enjoy playing some of these similar games. Let us start off with the very first battle royale game that had given rise to the hype – PlayerUnknown’s Battlegrounds (PUBG). This game has lain the cornerstone for future forms of battle royale game by outlining a variety of features including an in-depth character customization, huge number of players playing in a single match, as well as a huge yet detailed and featured map to house of all these players. Due to the larger map, the game even offers vehicles, ranging from cars to boats to bikes, for you to drive around in. This is a feature that is oddly absent in Fortnite Battle Royale though the tweaks in the game’s design ensures that players can cover the distance needed as the map boundaries shrink towards the center. You can use your vehicles to finish off unsuspecting players too by running them over. The gameplay in this game, on the other hand, is more of a third person shooter, allowing players a better view of their surroundings, which is good since you can sometimes be ambushed if you’re not aware of your surroundings. Melee weapons are available in the game but since players can easily outgun a melee-using player, they are often only used in close quarters, usually when silent ambushes are needed just so you don’t alert any other players of your whereabouts/hiding spot. There are 2 different game modes as well, namely solo, where you’ll try to survive alone (teaming up is a bannable offense), and team, where you can try your luck at surviving with your band of friends. Graphics-wise, the game has a “closer to reality” type of visuals, giving the game the sort of authenticity and intenseness that truly immerse the player in this epic battle for survival. Some may call this the poor man’s version of PUBG mainly because graphically, it does look very similar to PUBG but the game itself is free to play. Now, being F2P doesn’t always mean that the game’s bad – just look at Fortnite Battle Royale – but Last Man Standing does have a fair share of obvious flaws. Perhaps it is intentional, but the game doesn’t offer many features that we often take for granted in shooter-oriented games like bullet tracers and muzzle flashes, so you’d know where you’re being shot from. This is important considering that the graphics may sometimes render a player almost impossible to spot, making the player who fired first to end up as the victor in the shootout. Despite having a map that’s as vast, the game doesn’t offer vehicles for players to use unlike in PUBG. However, this game does try to be different by offering players a more immersive first-person view rather than the third person offered in the first two games mentioned. The game also has 3 game modes, namely solo, duo and team-based; and an in-depth character customization that may rival that of PUBG’s. That said, the game has a problem with cheaters running rampant, a team of developers who has a bad reputation of dropping games as fast as they come up with new ones, and a lower player base which equals to longer waiting time at the matchmaking queue. So, it’s best to bear all of these in mind going in. 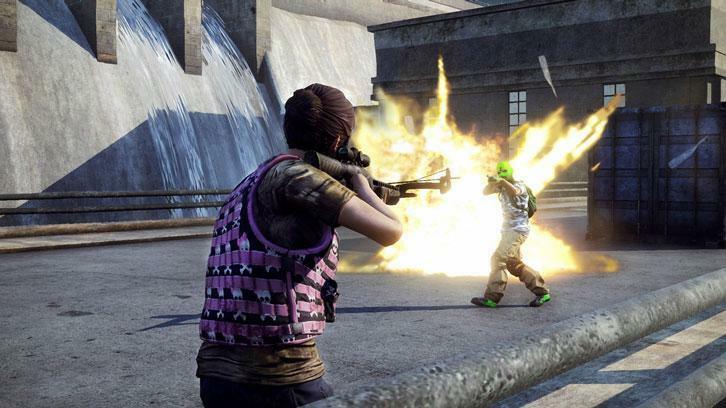 H1Z1: King of the Kill is possibly the closest third option you can get if you’re looking for a battle royale game that’s intense, have a somewhat sufficient player base to not wait too long for a match. Unlike most battle royale games though, this game actually has environmental hazards that will kill you in addition to any other player you may happen to cross paths with. So, in some way, the game can have a higher difficulty at first since you’ll need some time to learn which stuff to avoid. In terms of gameplay, I’d say this game is more similar to PUBG than Last Man Standing due to its third person view. 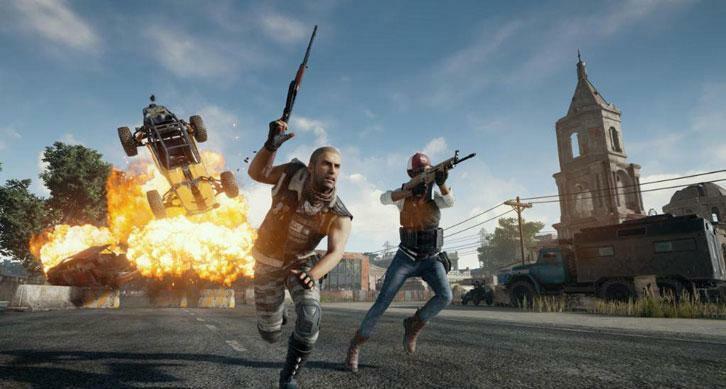 When compared with PUBG and Fortnite Battle Royale, it will still feel more PUBG because of its somewhat equal emphasis on providing players with both melee weapons and guns. However, if you compare them in terms of their theme, then H1Z1: King of the Kill would definitely stand out because, after all, this game was derived from a zombie survival game and hence, has that very obvious, post-apocalyptic theme. The unfortunate thing about this game though is that it is buy-to-play, putting it in direct competition with PUBG, and as evident in the numbers, PUBG is winning by more than a mile. PUBG simply has the better game and honestly, there is a number of aspects in H1Z1: King of the Kill that just fall short of what they could have been. Now, although this game is technically declared “dead” due to the severe lack of players, The Culling is still listed here simply because it is the battle royale that “could have been”. As you may have guessed, the current surge in the battle royale genre was mainly inspired by the Hunger Games... well, The Culling is more of a true Hunger Games-styled battle royale than the more stripped-down version that you play in current battle royale games, be it PUBG or Fortnite Battle Royale. 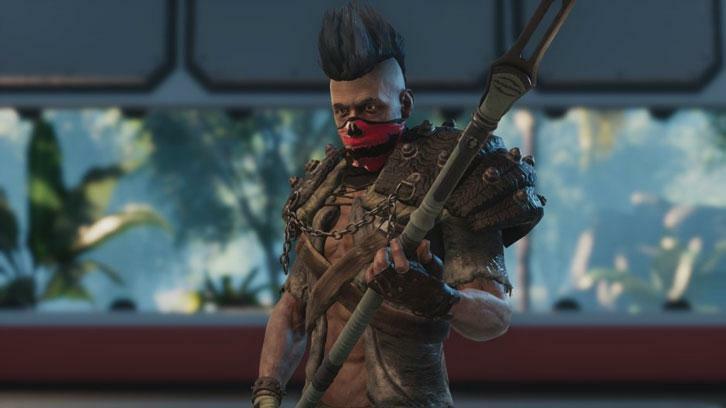 The Culling is a solo-type of battle royale game though it does have several different game modes, including a smaller, faster and more intense Lightning Round of 8 players, and a training match where you can compete with AI bots. The default 16-player match though has a pretty sizeable and well-featured map for you to roam around, and as you’ll be on a remote island, there will be less “scavenging homes” and more “harvesting raw materials for crafting” or finding crates. Being the game show that it is, as opposed to blind survival, the game has everything you like from the Hunger Games that spices things up, such as the death announcements in the sky, and special events while you’re in-match that you can opt to join. These events usually grant the winners a very rare and valuable resource – it can even be a gun – but you may need to fight all the other contestants for the prize. Each player can also call in an airdrop, which usually contains some really sweet items, but calling one in may expose your location and well, these airdrops can always be stolen. Another aspect that makes this game so different from the rest is that the game is more melee oriented, making fights a whole lot more intense. There are still guns and ranged weapons like bow and arrows, mind you, it’s just that the ammo for such weapons are incredibly rare and well, a skilled melee player can easily disarm you if you’re not careful. In other words, having a gun in this game doesn’t guarantee you “victory royale”. In terms of character customization and cosmetics, the game has an impressive selection range that puts it on par with games like PUBG, H1Z1: King of the Kill and Last Man Standing. Graphics-wise, the game is quite similar to the ones mentioned above as well. The thing about The Culling is not only because it is quite expensive relative to the buggy gameplay it offers, but the developers of the game themselves seem to be pretty clueless as to what they should do with the player feedback they’ve got. Due to these factors and a smattering of other reasons, The Culling fell from being a potential blockbuster game to a game that is rather obscure. The game is still available for purchase on Steam, but at least now you’ll know the problems you’ll be up against going in. If you're interested in battle royale games on Android (mainly), you might be interested in our other article - Top 10 Mobile Battle Royale Games. Note: This article was republished from our sister site, FindGamesLike. If you're looking for the best alternative games, FindGamesLike will have what you need. Do drop by and check it out!